Do some practical volunteering to support a green gem! Hands-on tasks: Get your team active in the fresh air. You'll do various gardening and park maintenance jobs depending on the time of year. We provide kit and protective clothing. 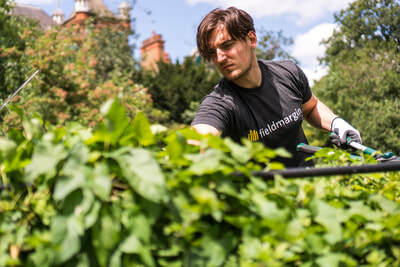 Do something different: Leave the office behind and spend a day working together doing pruning, painting, or planting. Each team will get pictures and a thank-you post event. Help a great cause: Support the small charity running Myatt's Fields. 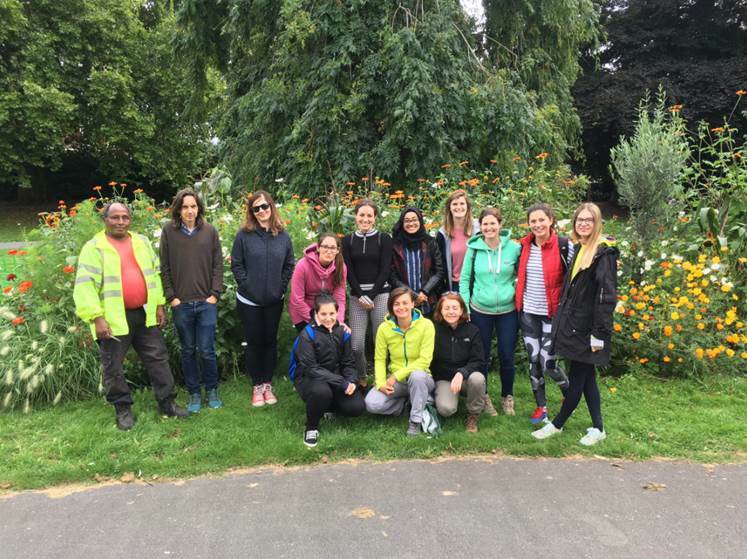 This Green Flag Award-winning park is a hub for nature and community within a diverse, central London area. Supervision throughout: We'll brief you before the event, providing a full info pack and risk assessment. On the day you can expect a friendly welcome and expert guidance from our community gardeners. There is a qualified first aider on-site. Charlotte from Lloyds Bank's said: “We left feeling that we'd really made a difference. 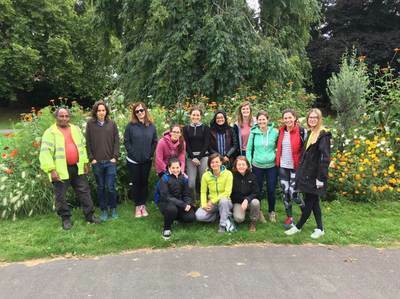 The team at Myatt’s Fields are so passionate about park and the part it plays in their community, they took great pride in the running and appearance of the space – it was a pleasure to work alongside them for the day. 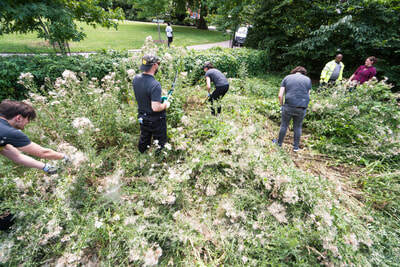 As a team of 20 we could undertake so many tasks that normally would take weeks for the team to complete. Knowing that we were able to provide this support gave us a great sense of satisfaction."